Custom Window Replacement Windows From Our Home to Yours! JBWindows is a family owned and operated company with over 30 years experience in custom replacement windows and slider patio door installations. We specialize in the individual needs of every customer. We offer the latest high performance and energy efficient windows and slider patio doors on the market today. Competitive pricing, mixed with our personal involvement to detail gives us an advantage that other companies can not match in customer satisfaction. 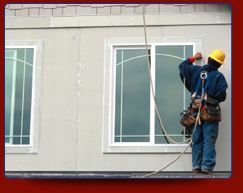 Our team is with you from start to finish without the need for outside subcontractors. Call or contact JBWindows for a free, no pressure, in home consultation that will educate you for YOUR future window needs. We look forward to making YOUR window and sliding patio door project a pleasant one.